Mistakes are often the best way to learn. So, we’re exploring some examples of classic mistakes customers have made with their with their Georgia energy plans to show other how others can avoid problems with their energy suppliers. Recently, I was reading through some Georgia natural gas provider reviews and found several classic examples where customers made mistakes with their with their Georgia natural gas plans that wound up costing them more. In the interest of helping our other energy customers I’m sharing a few edited examples as common mistakes to show how other customers can avoid problems with their energy suppliers. Late Fees? What Late Fees? As you can see, the frustration and anger of this customer is understandable, especially since they don’t see that they did anything wrong. But look closer. The customer complains that late payment penalties and disconnection letter fees suddenly pop out of the wood work when their account wasn’t paid by the due date. They infer that these fees are unfairly added on to their monthly bill. The fact is that Georgia State law requires that all fees and charges be spelled out in each plan’s Terms of Service. 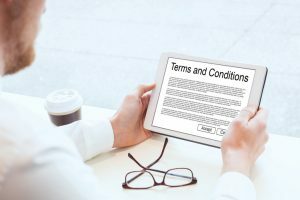 By reading the Terms of Service, customers will learn what they can expect if they make late payments. Also note that it’s now very common for companies to include additional fees that will increase customers late bills. Obviously, some customers having financial troubles might want to avoid signing with a company that thinks this is how to be “helpful”. The best way to learn about the best Georgia natural gas providers is to read actual customer reviews. It’s also important to bear in mind that this customer mainly got into trouble because they didn’t check that payments cleared on time before the due date. Sure, it’s also possible the due date came right before the customer received their pay check and they didn’t have the money available. However, the customer should have anticipated that and planned ahead. To be frank, we don’t know their exact circumstance for sure but suffice it to say that you should always make sure your payments get processed in time. If you pay before the due-date and you find a delay in the processing causes you a late fee, get your payment and relevant bank info together and complain to your Georgia retail natural gas provider. You’ll have a much stronger case if you can prove it’s their fault.